From the moment you register at Vegas Mobile Casino you get a reason to smile – a nice no deposit bonus. Create an account using the promo code WIN10. 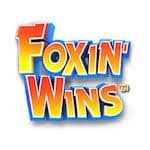 This will bring you 10 spins to use on Foxin Wins, a very entertaining and rewarding slot machine. Then, when you make your first deposit of minimum £20, you will be rewarded again with 25 spins, this time on the famous Starburst slot machine. Along with these you also get a 100% bonus up to £200. The bonuses come with a 50-times wagering requirement. The maximum conversion for the spins is £20 and for the match offer is 5 times the amount of the bonus received. Get the spins, double your money, and have more fun than ever!